Society1 – is a coworking space in the heart of Preston. A fully flexible work space available to use in the way you need it. This is state of the art, stylish office space at low rates. No contracts, no bills, no fees, no office logistics. Simple flexible price plans that include everything you need to create your ultimate business solution. 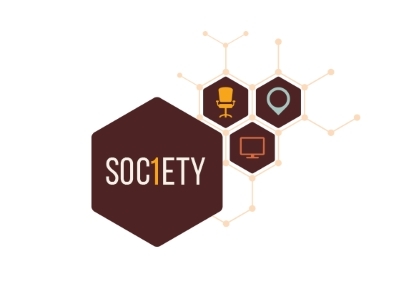 Society1 – a place where ambition, talent and problem solvers come together to make things happen. This is a space that is built around you and what you need. Inspiring, stylish, creative and brave. You deserve the space that is worthy of your talent and an office you are proud to call your own. A supportive and friendly community at your finger tips. Work alongside potential advisors, new hires, mentors, clients and investors. No hard sells just good people working hard to get to where they want. Create a plan based on real targets, that push you but are achievable. Don’t be afraid to change your plan if things don’t go as you thought they would. Lancashire is central to so many areas. It offers a wide network of businesses. Lancashire businesses genuinely want to see the local business community grow and prosper. Boost is a fantastic opportunity for small businesses and individuals which provides the right support at the right time to help grow their business. We’ve seen first hand the difference Boost support can make to an ambitious business.